“Fifty years ago this week, Martin Luther King Jr., John Lewis, A Philip Randolph, Bayard Rustin and other civil rights leaders spoke at the March on Washington for Jobs and Freedom. But where were the female civil rights activists?” Amy Goodman asked and answered that question on this morning’s Democracy NOW! when she interviewed Gloria Richardson, Co-founder of the Cambridge Nonviolent Action Committee in Maryland. Tens of thousands of people gathered at The National Mall to mark the 50th anniversary of the March on Washington for Jobs and Freedom on Saturday. 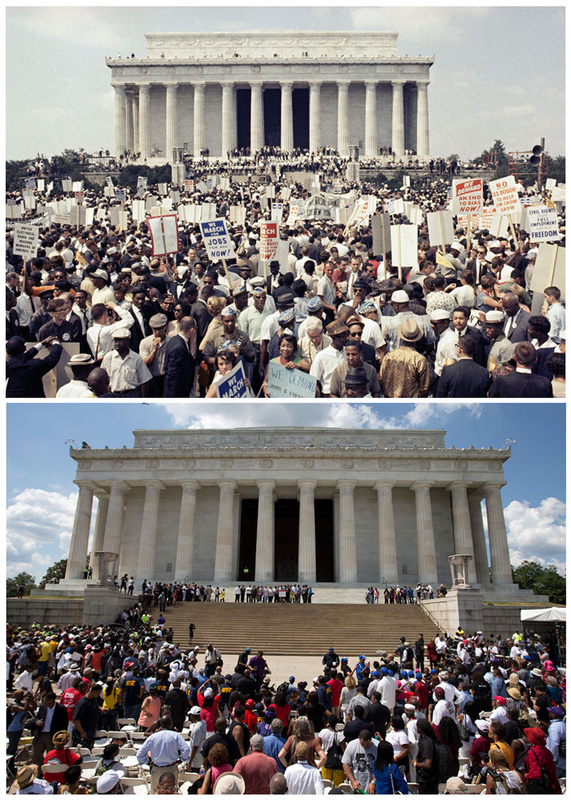 Most people don’t know it was for “Jobs and Freedom.” Even fewer people know what the demands of the march were. Well, here are ten things the organizers, representing different organizations and ideologies, were able to agree on as demands.